Novelist and immersive theater director Kathe Koja joins the show to talk about her new novel, The Bastards’ Paradise, the arc of her career from splatterpunk (hey, it was the ’90s) to YA to the 19th C. romance of her Poppy trilogy, the meaning of Detroit, her life-changing experience at a staging of Sleep No More, the joys (and perils) of defying genre conventions, the epiphany of brutally murdering Tweddle-Dee, saving her first novel (from when she was 14) to feel better about herself, why great poetry is like IV drugs, and more! Give it a listen! 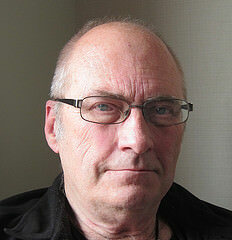 Then John Clute returns to the show to talk about establishing the Clute Science Fiction Library @ Telluride! Also, he uses the word “haecceity” in conversation, which is a Virtual Memories first! Go listen! 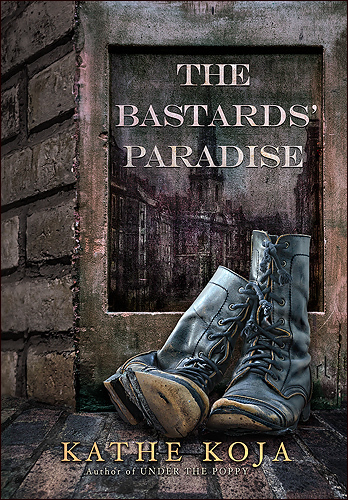 Kathe Koja’s 16th novel, The Bastards’ Paradise , is just out from Roadswell Editions. Her other novels include The Cipher , Skin , Strange Angels , Buddha Boy , Talk , and Headlong . Her work has won numerous awards, been multiply translated, and optioned for film and performance. As a director/producer, she leads the performance group nerve in creating immersive live events. (1940- ) Canadian novelist and sf critic, in the UK from 1969; married to Judith Clute from 1964. He has been the partner of Elizabeth Hand since 1996. His first professional publication, a long sf-tinged poem called “Carcajou Lament”, appeared in Triquarterly for Winter 1960 (i.e. in 1959), though he only began publishing sf proper with “A Man Must Die” in New Worlds for November 1966, where much of his earlier criticism also appeared. This criticism, despite some studiously flamboyant obscurities, remains essentially practical, and has appeared mostly in the form of reviews, many of which first appeared in The Magazine of Fantasy and Science Fiction, Foundation, Washington Post, Omni, Times Literary Supplement, New York Times, New York Review of Science Fiction, Interzone, Los Angeles Times, Observer, Science Fiction Weekly (see Online Magazines), the Independent, Strange Horizons and elsewhere. He has written two regular review columns: Excessive Candour for Science Fiction Weekly between 1997 and 2009; and Scores, intermittently in The Infinite Matrix 2001-2003, regularly in Interzone between 2005 and 2008, and in Strange Horizons from 2010. Selections from this work, almost always revised, have been assembled in Strokes: Essays and Reviews 1966-1986 (coll 1988), Look at the Evidence: Essays and Reviews (coll dated 1995 but 1996), Scores: Reviews 1993-2003 (coll 2003), Canary Fever: Reviews (coll 2009) and Stay (coll 2014). An ongoing project to construct models of story “moves” in the literatures of the fantastic is represented by a set of connected motif entries in The Encyclopedia of Fantasy (1997) with John Grant [see The Encyclopedia of Fantasy under links below] and in The Darkening Garden: A Short Lexicon of Horror (2006), as well as in Fustian (2006 chap) with Jason Van Hollander, a long interview focused on these issues. In later essays – like “Fantastika in the World Storm” (Spring 2008 Foundation) and “Physics for Amnesia” (October 2008 The New York Review of Science Fiction), both assembled in revised form with other essays as Pardon This Intrusion: Fantastika in the World Storm (coll 2011) – he has suggested that a central task for Fantastika in the twenty-first century is to dissolve the cultural Amnesia that has arguably consumed the Western world since World War Two (see Horror in SF; Postmodernism and SF). Primarily for his critical work, he received a Pilgrim Award in 1994, the IAFA Award as Distinguished Guest Scholar in 1999, and a Solstice Award (see SFWA Grand Master Award) in 2012. In 1960 Clute was Associate Editor of Collage, an ill fated Chicago-based Slick magazine which in its two issues did manage to publish early work by Harlan Ellison and R A Lafferty. He served as Reviews Editor of Foundation 1980-1990, and was a founder of Interzone in 1982; he remained Advisory Editor of that magazine until 2004, and then contributed the column mentioned above. He was the Associate Editor of the first edition of The Encyclopedia of Science Fiction (1979; vt The Science Fiction Encyclopedia 1979), which won a Hugo award, and was co-editor of the much-expanded second edition The Encyclopedia of Science Fiction (1993; rev 1995; further rev vt Grolier Science Fiction: The Multimedia Encyclopedia of Science Fiction 1995 CD-ROM; further rev 1999), for which he shared 1994 Hugo and Locus awards with Peter Nicholls. Though Clute and Nicholls were listed as editors, the book was in fact written mostly by them and Associate Editor Brian Stableford. The current third edition, again much expanded as The Encyclopedia of Science Fiction (online from 2011) edited by John Clute and David Langford with Peter Nicholls serving as Editor Emeritus and Graham Sleight as Managing Editor, has similarly been written in the main by its editors and Contributing Editors; it won a Hugo as Best Related Work in 2012. Science Fiction: The Illustrated Encyclopedia (1995), which he wrote solo and for which he also received a Hugo in 1996, is a companion to sf, not in any way connected to the encyclopedias listed above. The Encyclopedia of Fantasy (1997) with John Grant, for which both editors shared a 1998 Hugo, deals with fantasy within a frame broadly compatible with that governing this Encyclopedia, which is its elder sibling. Credits: This episode’s music is Nothing’s Gonna Bring Me Down by David Baerwald, used with permission of the artist. The conversation with Ms. Koja was recorded at the Saratoga Hilton on a pair of Blue enCORE 200 microphones feeding into a Zoom H5 digital recorder (except for when I screwed up the recording and used my Zoom H2n backup). The session with Mr. Clute was done on my enCORE 200 & Zoom H5. I recorded the intro and outro on a Blue Yeti USB Microphone . Processing was done in Audacity and Logic Pro. Photos of Ms. Koja and Mr. Clute by me. Sam Gross’ gag panels warped me at a young age (see above), so it was an honor to get him on mic to talk about his nearly six-decade cartooning career. We sat down in his studio to discuss the serious business of gags, how he went from drawing a Saul Steinberg nose to drawing a Sam Gross one, how he continues in his 80s to come up with a week’s worth of new gags for Look Day, how he once got a Vanishing New York tour from Charles Addams, how he revels in the “humor of the handicapped”, and the magazine he misses the most. Give it a listen! Sam Gross has been publishing cartoons since the 1950s. His cartoons have appeared in The New Yorker since 1969. He served as the cartoon editor of National Lampoon and Parents magazines, and was president of the Cartoonists Guild. He has published numerous collections, including I Am Blind and My Dog is Dead . You can buy reproductions of his art at the Conde Nast Store. Credits: This episode’s music is Funny Little Frog by Belle & Sebastian. The conversation was recorded at Mr. Gross’ studio on a pair of Blue enCORE 200 microphones feeding into a Zoom H5 digital recorder. The intro and outro were recorded on a Blue Yeti USB Microphone . Processing was done in Audacity and Garage Band. Photo of Mr. Gross by me. Rachel Hadas, author of Strange Relation: A Memoir of Marriage, Dementia and Poetry (Paul Dry Books), lost her husband to early onset dementia. 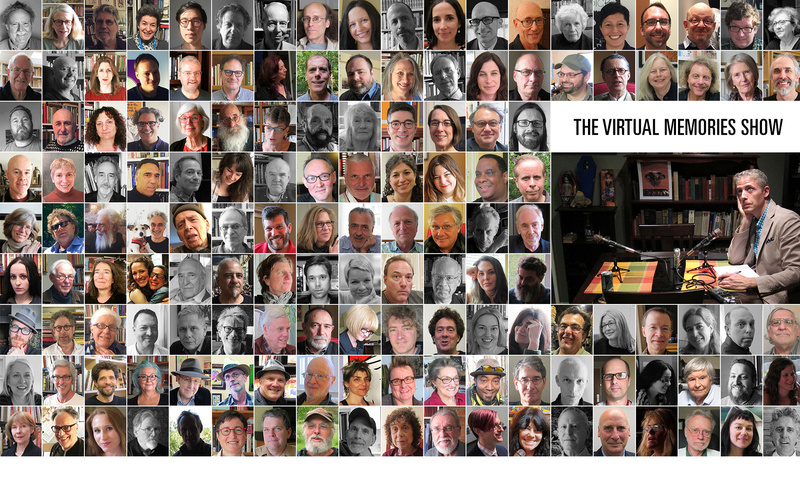 We talk about how poetry — hers and others’ — gave her solace during this years-long process. We also talk about poetry is a way for the poet to both release and identify emotions, why it was easier to publish collections of poetry in the 1980s and 1990s, the benefits of poetry memorization, and why the Furies looked the other way when Agamemnon sacrificed his daughter Iphigenia. BONUS: You get to hear me record an intro after 35 hours with no sleep, and find out about the huge, life-changing thing I did last week! Rachel Hadas studied classics at Harvard, poetry at Johns Hopkins, and comparative literature at Princeton. Between college and graduate school she spent four years in Greece, an experience that surfaces variously in much of her work. Since 1981 she has taught in the English Department of the Newark (NJ) campus of Rutgers University, and has also taught courses in literature and writing at Columbia and Princeton, as well as serving on the poetry faculty of the Sewanee Writers’ Conference and the West Chester Poetry Conference. She has received a Guggenheim Fellowship in Poetry, an Ingram Merrill Foundation grant in poetry, and an award in literature from the American Academy and Institute of Arts and Letters. Rachel Hadas is the author of many books of poetry, prose, and translations. Most recently, she her memoir about her husband’s illness, Strange Relation , was published by Paul Dry Books (2011) and a new book of her poems, The Golden Road , was published by Northwestern University Press (2012). Credits: This episode’s music is Strange Conversation by Ted Hawkins. The conversation was recorded at the home of Ms. Hadas on a pair of Blue enCORE 200 microphones feeding into a Zoom H4n recorder . The intro and outro were recorded in a hotel room in London on the same gear . Processing was done in Audacity and Garage Band. Photo of Rachel Hadas by me.